Miami, FL, 2017-Jun-19 — /Travel PR News/ — Opera and ballet fans, food and wine connoisseurs, bridge players, wellness enthusiasts and lifelong learners will appreciate indulging their passions with Silversea’s exciting onboard enrichment program in 2017. Based in Milan, Italy, Accademia Teatro alla Scala (La Scala Theatre Academy) is one of the world’s foremost performing arts academies. Its internationally renowned performers and instructors offer the highest level of artistic education for aspiring and gifted singers, dancers, and musicians from every corner of the world. Soloists from its Academy of Lyric Opera and a piano accompanist will perform a selection of opera’s most beautiful librettos for the enjoyment of Silversea guests aboard three Mediterranean cruises: two aboard Silver Spirit, including a June 25 Rouen-to-Lisbon voyage that will feature the special presence of operatic star Luciana Serra, and a September 21 sailing from Athens to Venice; plus one aboard Silver Muse on July 15, sailing Athens to Rome. Daria Khokhlova and Artemy Belyakov, ballet performers of the State Academic Bolshoi Theater of Russia, one of the world’s most renowned ballet companies, are returning to Silversea for exclusive engagements aboard Silver Spirit’s August 25 and September 3 Mediterranean voyages. The dance stars, whose wonderful performances have captivated Silver Spirit audiences in recent years, will again appear on stage in the ship’s elegant Show Lounge for two performances during each sailing. Solo performer Jean-Sébastien Colau of L’Opéra de Paris, one of the world’s greatest companies, will treat audiences to his artistry when he and a partner take to the stage aboard Silver Whisper’s June 16 Northern Europe voyage and its October 23 sailing from Montreal to New York. 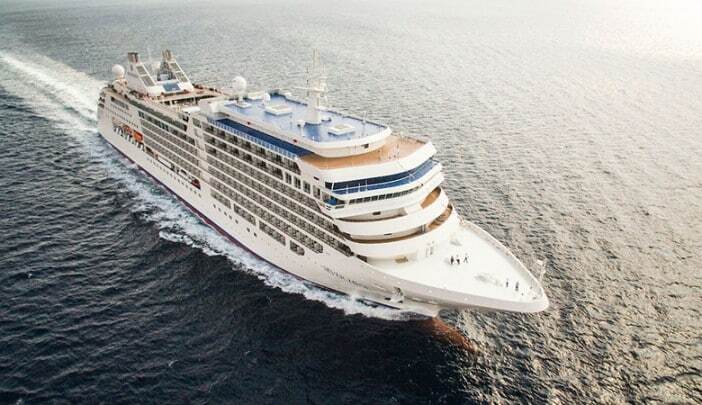 –Silver Spirit’s June 14 “Champagne Cruise” from Lisbon to Rouen will present special onboard tastings and classes, plus a shore excursion in partnership with Pommery Champagne. –An October 7 “Tastes of the Mediterranean” cruise aboard Silver Spirit, hosted by guest chefs Umberto Menghi and Michael Jacob, will feature culinary demonstrations, market visits, gala dinners and culinary-focused shore excursions. –Silver Shadow’s October 8 “Relais & Châteaux® Gourmet Cruise” will welcome Relais & Châteaux guest chef Dominique Bouchet, owner of the eponymous restaurant in Tokyo, for gala dinners and cooking demonstrations presented in addition to a L’École de Chefs cooking school program hosted by David Bilsland, Silversea corporate chef. –Silver Spirit’s October 23 “Wine Cruise” is presented in partnership with Comitato Grandi Cru d’Italia, an association of top Italian winemakers, and the Professional Association of Italian Sommeliers (ASPI). Its wine enrichment program will spotlight a collection of some of Italy’s finest vintages as top sommeliers Gennaro Buono and Giuseppe Vaccarini guide and educate guests in the art of winemaking. –Silver Explorer’s October 25 “Culinary Expedition Voyage” in South America will showcase Peruvian and Chilean guest chefs and regional specialties. Guests will have a chance to prepare their own seafood dishes. Silver Discoverer offers wellness-themed programming on a quartet of expedition voyages to Micronesia, Melanesia and Australia, including departures on October 4, 18 and 25, and one on November 9. Guests enjoy a comprehensive — and complimentary — program that includes stretching, yoga and Pilates classes, daily lectures and cooking demonstrations, gym sessions led by personal trainers using Technogym fitness equipment, and choice of one complimentary spa massage treatment. Silversea has created a special experience for bridge enthusiasts. On Silver Wind’s November 10 Barcelona-to-Barbados sailing, guests can compete to win prizes in the second Silversea bridge tournament. On this special voyage, featuring American Contract Bridge League life masters Gerald Fox and Steve Smolen, guests can earn ACBL master points, attend seminars, and meet other bridge players from around the world. For guests seeking to enrich their minds and enjoy a richer travel experience, the Silver Perspectives enrichment program welcomes destination experts and distinguished guest speakers on board for fascinating lectures and stimulating conversation. Invited speakers include authors, journalists, naturalists, diplomats, professors and other specialists whose topics range from politics and the environment to tribal customs and ancient history. Please visit Silversea.com for additional details about each voyage and enrichment opportunities. Silversea Cruises, which is chaired by Manfredi Lefebvre d’Ovidio, is recognized as an innovator in the ultra-luxury cruise line industry, offering guests large-ship amenities aboard its intimate, all-suite vessels: Silver Wind, Silver Shadow, Silver Whisper, Silver Spirit and Silver Muse – all designed to offer an atmosphere of conviviality and casual elegance. With the inclusion of the expedition ships Silver Explorer, Silver Galapagos, Silver Discoverer, and with Silver Cloud joining the Expedition fleet in November 2017, Silversea’s itineraries encompass all seven continents and feature worldwide luxury cruises to the Mediterranean, Caribbean, both Polar Regions and 1000 fascinating destinations in between. This entry was posted in Adventure Travel, Business, Cruises, Entertainment, Travel, Travel Management, Travelers and tagged Barbara Muckermann, onboard enrichment program in 2017, Silversea. Bookmark the permalink.